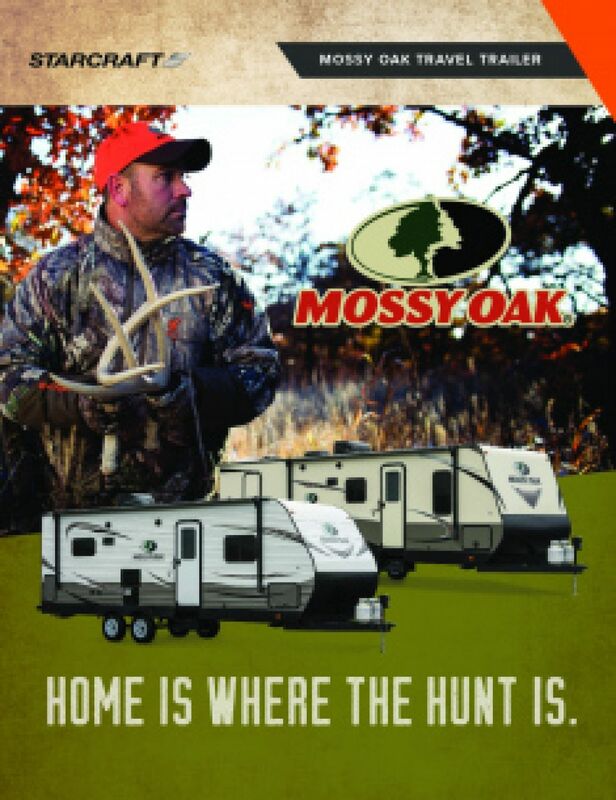 Scratch your itch for adventure with the 2019 Starcraft Mossy Oak 21FB! You and your family will love traveling with this Travel Trailer! Find this model at All Seasons RV, one of the top-rated Michigan RV dealers! If you're in or driving by Muskegon, stop by our location at 4701 Airline Rd Muskegon Michigan 49444! If you would like to more about this RV or any of our other top quality models, give us a call at 231-739-5269! Want to travel across the country? Journey with this RV, which boasts a hitch weight of 535 lbs. and a GVWR of 6000 lbs. Once you've reached your destination, place your camping chairs and picnic table under the cool shade and protection of the 16' 6" awning! Nothing recharges your batteries after a full day of outdoor fun and adventure than a good night's sleep! You'll enjoy years of comfortable sleep thanks to the elegant master bedroom with its roomy Queen bed. Stretch out and fall asleep in no time, cozy and secure all night long! 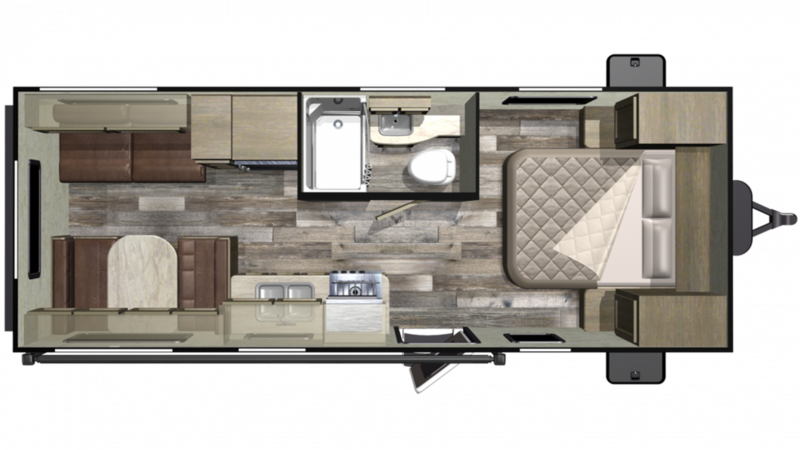 Up to 4 people can sleep comfortably inside this RV! Instead of eating out every day, save money and enjoy fresh food inside with the kitchen's 3 burner range cooktop and 6.00 cu. ft. refrigerator. The 48 gallon freshwater tank provides clean drinking water in the sink. One of the nicest features is the bathroom with its many conveniences. The clean and easy to use Foot Flush toilet and the roomy shower eliminate those pesky trips to the campground bathroom. And with a big 60 lbs. of LP tank capacity and the generous 48 gallon freshwater tank, everyone can enjoy a leisurely hot shower, morning, noon, or night! Waste and used water are stored in the 32 gallon black water tank and the 32 gallon gray water tank, respectively.